Data. Knowledge. Power. Yours? Mine? Ours! Thanks to a rich online experience, buyers indeed have greater purchase influence these days, but where does the true power reside? It’s shared, really. Marketers have made much of this “empowered customer” phenomenon. Online, you can research and get close to a buying decision – right down to vendor, product, price and feature selection – before the seller even becomes aware of your existence. Salesreps, just a scant decade ago, guided purchases with probing inquiries about interest, budget and other decision factors. About 2/3 of buying and selling decisions today are salesrep-facilitated, but a full 1/3 of buying and selling is of the buyer-driven, “salesrep-lite” variety. We can expect to see considerable rebalancing from time to time, thanks to (a) recent advances in mobile digital profiling ; (b) a coming wave of marketing technology mergers, acquisitions and partnerships, and (c) a currently proposed standard for profile data interchange currently before the Worldwide Web Consortium – the W3C. 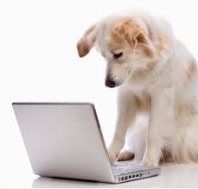 Today on the internet, so the updated joke goes, if you’re a dog everyone knows it – as well as your breed, age, gender and preferred kibble brand. Today, your online behavior – actions such as clicking “Like” buttons on Facebook pages you visit, for instance – helps marketers (interpretive algorithms, really) make inferences about your identity including gender, age, political and social tendencies, then use that info to tailor your online experience so you see ads and content that cater to your digitally harvested “buyer persona”. That preferences profile of you is continually enriched and refreshed based on your online and mobile behavior patterns. Stated differently, “free” isn’t really “free”. It never really was. When you surf the web, you reveal (“lend”) bits of your identity to savvy marketers who trace your online behavior patterns to compile that rich profile of you that can be then used to tailor your online experience in such a way that your satisfaction from the online experience is improved and, of course, increases the likelihood you will buy from them. Recently, a consortium of retail and insurance companies including Adobe, Google and BestBuy have proposed to the World Wide Web Consortium (W3C) a set of standards for commerce data interchange that would make it easier for us all to do business online. Merchants, health care providers, finance firms, and consumers all stand to gain from this. As long as you consent and your privacy is protected, all is well. Increasingly we have come to trust certain online identity repositories curated by the likes of Google Wallet, Amazon, LinkedIn, Twitter etc. In the broader commerce world, however, small and midsized organizations have not built, bought or hired the depth of technical ability to make sense of all that data, let alone apply it to their business or curate it responsibly. The above-mentioned W3C Web data acquisition standard could really democratize things. Larger organizations may seem more capable, but that isn’t always the case; they typically are running legacy apps (archaic programming and hardware) whose code is tough to maintain, let alone modify to take advantage of the proposed newer standards. Fortunately, companies like AppDirect, Apigee and Nexaweb Technologies – experts at modernizing all those legacy apps for large financial, trading, shipping and consumer facing companies – are hard at work on the challenge. (Disclosure: I own a smidgin of stock in Nexaweb). We buyers can tell who is “with it” and who isn’t, based on whether the ads that get served to us, or our repeat visits to favorite sites, are tailored based on our browsing behavior or our location. For example, I recently visited a jewelry website, after which my visits to other websites, including Google Search, became peppered with jewelry, wedding and dating ads. With the recent accelerating consolidation among solution providers in the marketing automation, sales CRM, email marketing and web analytics space, those web commerce architecture elements are becoming knit more tightly. Expect the next few years to bring an expansion of already existing analytics, buyer profiling and content tailoring solutions, more broadly affordable to midmarket and smaller enterprises with whom you regularly do business. If you consider the ability to track user behavior narrowly through the buyer / seller lens, Consider the implications. Will buyers’ online preference profiles tailor each netizen’s digital experience so greatly that the reinforcing effect of a profile-driven, tailored on-the-fly web experience merely helps bring relevant online information conveniently into sharper focus, to your benefit? Or, could the online experience become so digitally mutated by profile-driven content tailoring that its “echo chamber” effect distorts your online experience in ways that prevent you from viewing alternative information to consider broader options and render well-informed decisions? Will the rich have a different web experience than the not-so-rich, based on their profiles, harvested data, and access to speed? In other words, how much is too much? If you broaden your focus beyond commerce and consider the ability to track population behavior to detect and help resolve anything from traffic congestion (like, say, Waze) to disease spread, then the benefits become more clear. Do you know how to “shut down” your behavioral profile and surf the Web anonymously to obtain a more random, unfiltered experience? It’s possible, you know, without a lot of geekery. Tools abound, such as Google’s InPrivate Browsing feature and other tools that let you assume a random IP address (Google that boldface phrase to see some options) when surfing. Your mobile experience can also be made private if you know how to turn off geo-location, but you’re still registered on a network when your phone is on. This delicate balance of individual privacy, public disclosure, information gathering and sharing between big firms, security agencies and other firms is now being played out in the world headlines. The NSA and other entities regularly approach Google, Facebook and Microsoft, as well as telecommunications companies, to obtain customer activity information for the purposes of national security and law enforcement. If we marketers hew to the goal of providing a more useful, satisfying experience to you while keeping your privacy sacrosanct, that’s all to the good. As tools become more broadly available and powerful to enable deep customer profiling and tailored online experience, you may come to expect a more gratifying relationship with your favorite brands. After all, consumers already have heightened expectations. They don’t want every interaction with the same business to feel like the first date. How do you feel about the coming boom in digital profiling and data exchange? Comments welcome here. This entry was posted on Thursday, June 27th, 2013 at 10:49 AM and is filed under adaptive marketing, marketing automation etc., sales 2.0, User Experience, web analytics. You can follow any responses to this entry through the RSS 2.0 feed. You can leave a response, or trackback from your own site.